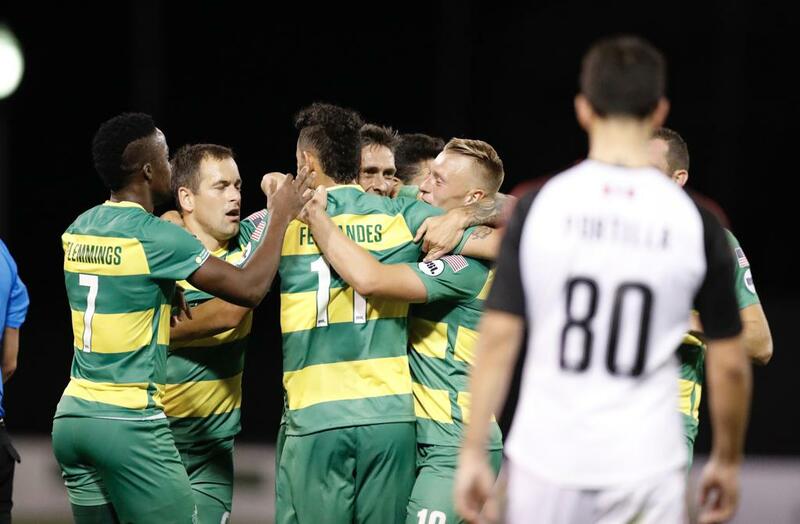 ST. PETERSBURG, Fla. (April 7, 2018) — Coming into Saturday night’s match against Ottawa Fury FC, beating an opponent by a score of 5-0 was something the Tampa Bay Rowdies hadn’t ever done in the Modern Era. At the hour mark, the Rowdies were still waiting for the breakthrough when Hristov provided the go-ahead goal, heading a Marcel Schäfer cross past Callum Irving to put the Rowdies up 1-0. It was Hristov’s third goal of the season and he now trails Derek Smethurst by only goal for the all-time Rowdies scoring record of 57 goals. Up next, the Rowdies travel to New York Red Bulls II next Saturday afternoon before returning home to host defending Western Conference Champions Real Monarchs SLC at Al Lang on Saturday, April 21. For tickets, call (727) 222-2000 or click here.